Utah Rodeo Wednesday through Saturday, Memorial Day - Mid of August, Ruby's Inn hosts the Bryce Canyon Country Rodeo every summer. Join the fun and excitement at the Bryce Canyon Country Rodeo. Click for more information! A ride through the beautiful red rocks of Losee Canyon in Red Canyon. Enjoy the shade of mountain trails, and see the same country as Butch Cassidy and his Wild Bunch experienced over 100 years ago and pass an old outlaw hideout. This ride offers the most breathtaking scenery in Bryce Canyon Area as your backdrop. The Thunder Mountain Trail with its switchbacks and narrow backbones will leave you with an experience that you will remember for years to come. 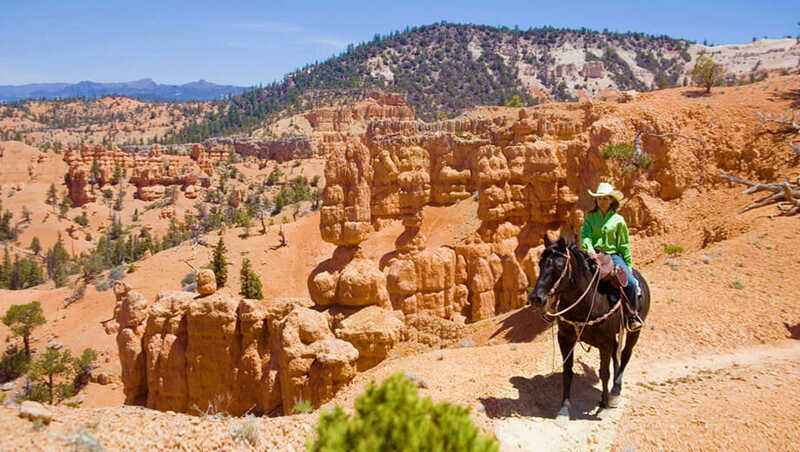 The Ruby's Grand Adventure is 5 nights and 4 days of horseback riding in the Bryce Canyon and Grand Staircase/Escalante area. The trails includes some of the same areas used by the infamous outlaw Butch Cassidy.